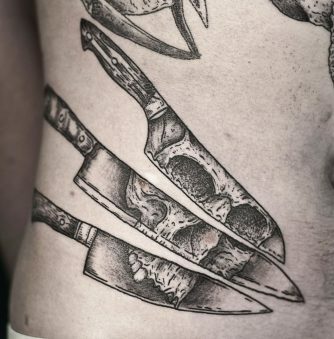 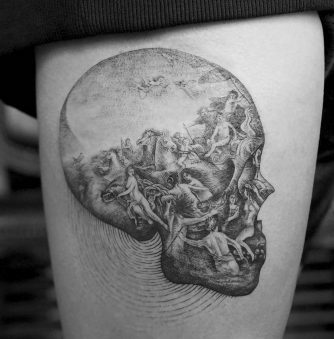 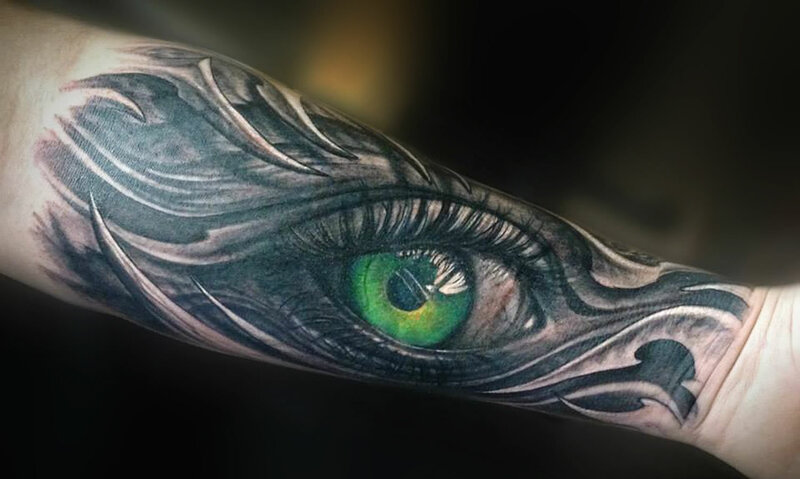 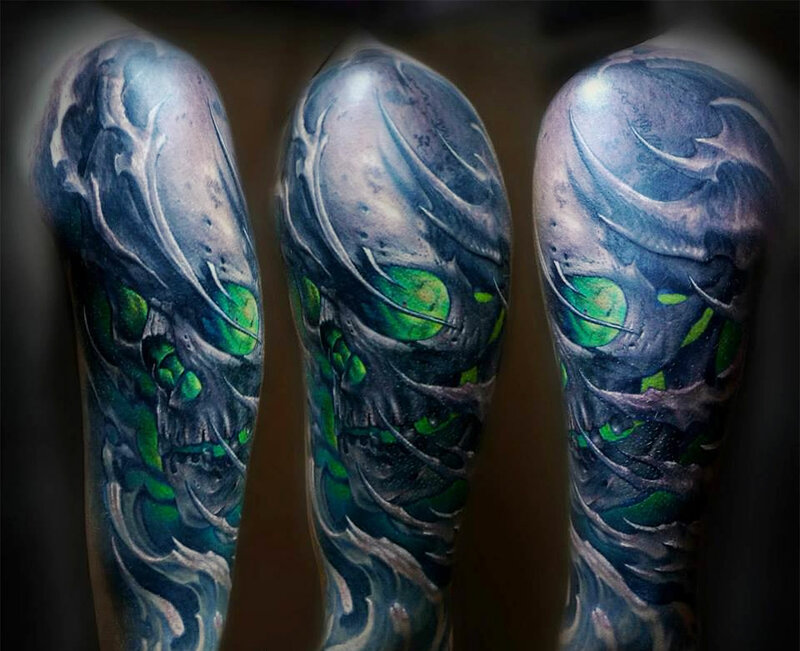 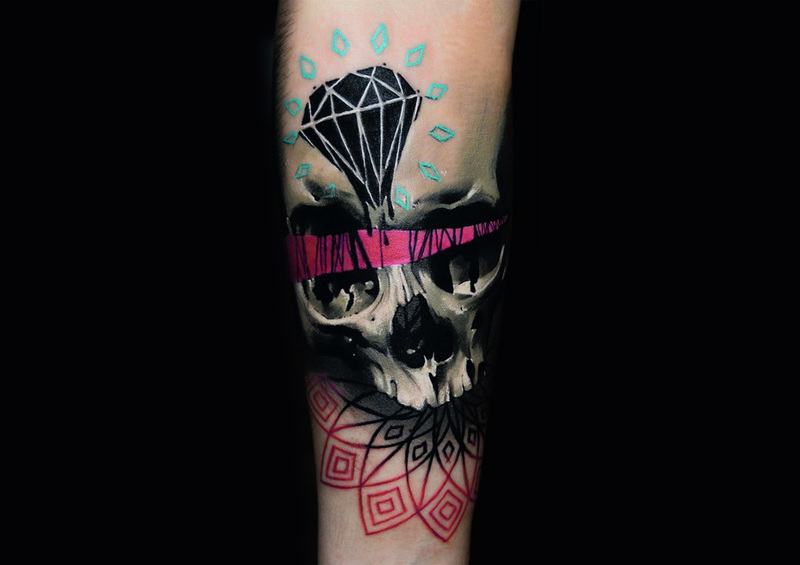 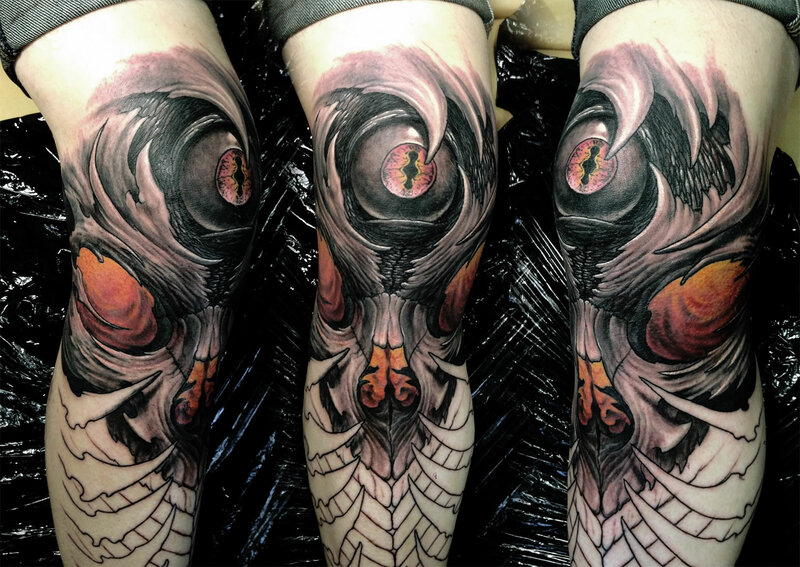 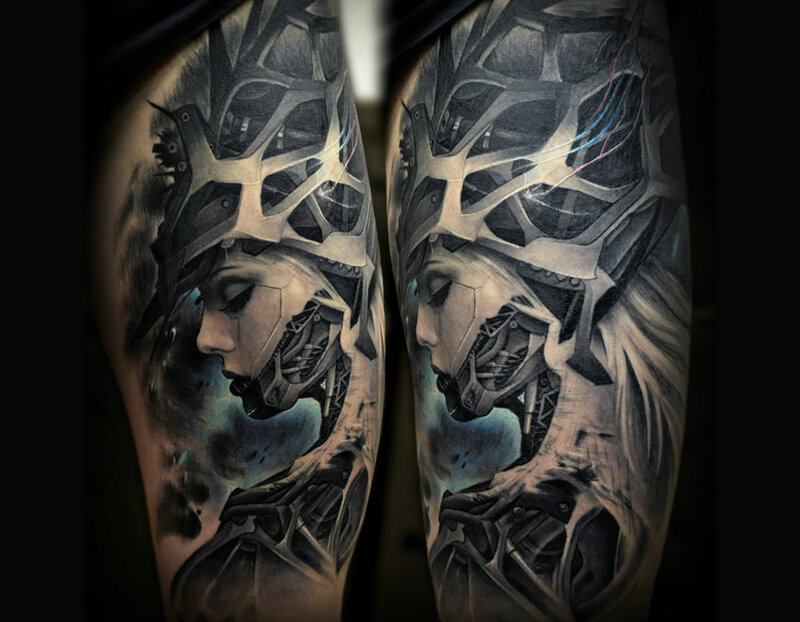 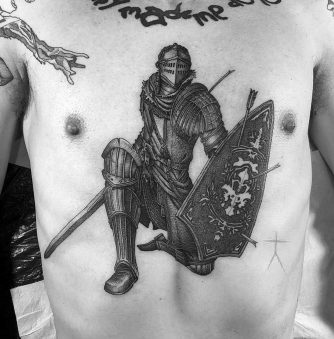 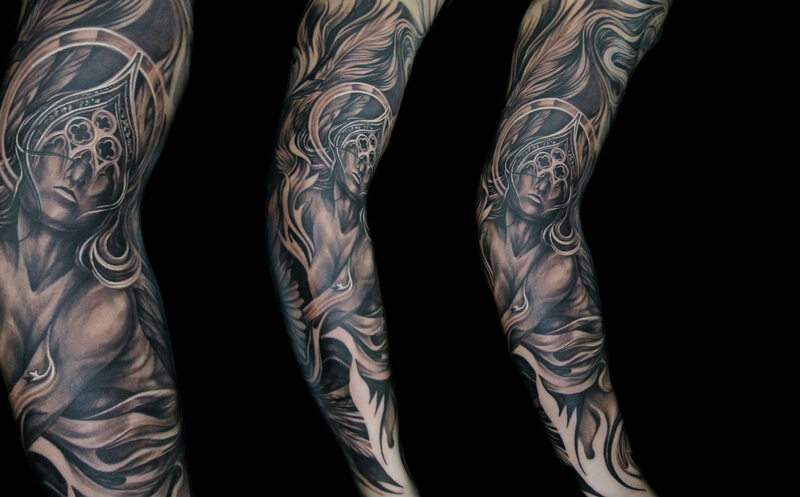 The tattoo shown above is a magnificent composition of biomechanical art. 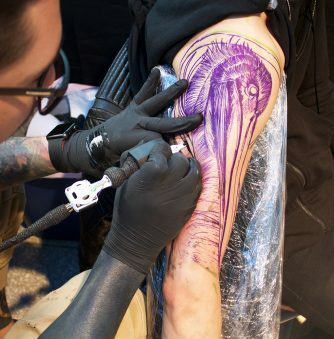 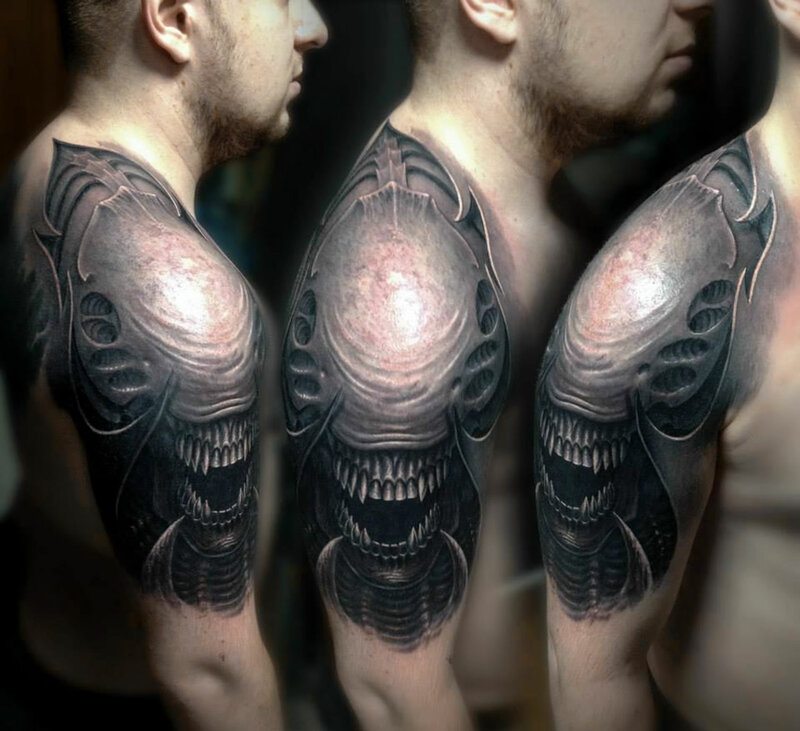 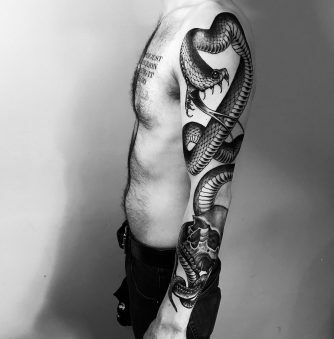 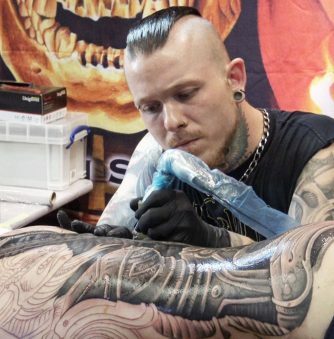 Just like tattooer Mike Cole who is inspired by the late H. R. Giger (known for artistic creations of human-machine hybrids), Stepan Negur is also inspired by Giger’s work as you can see in some of these tattoos. 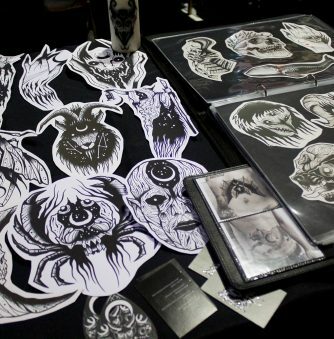 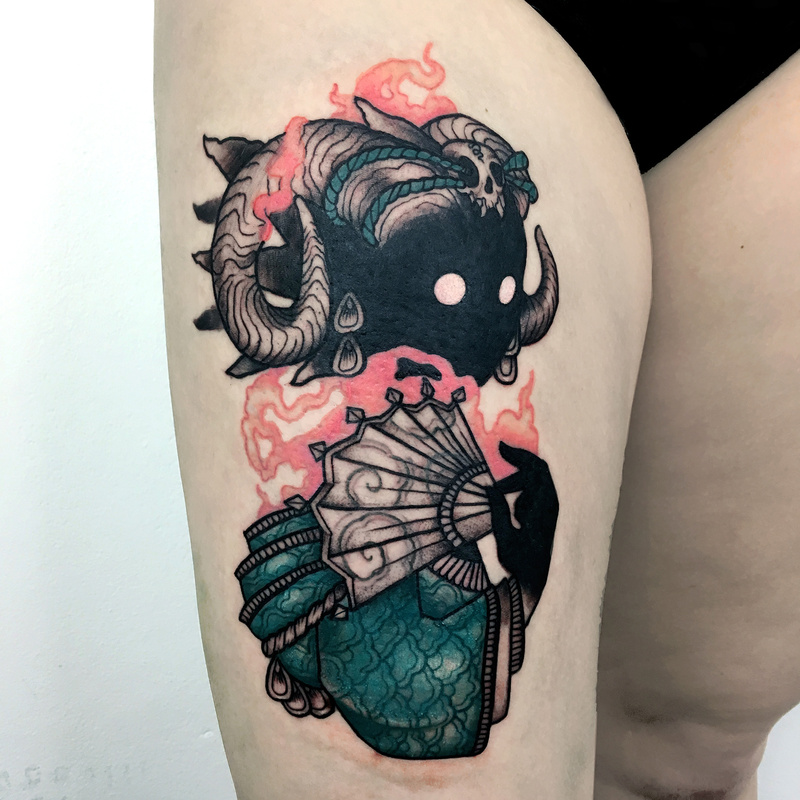 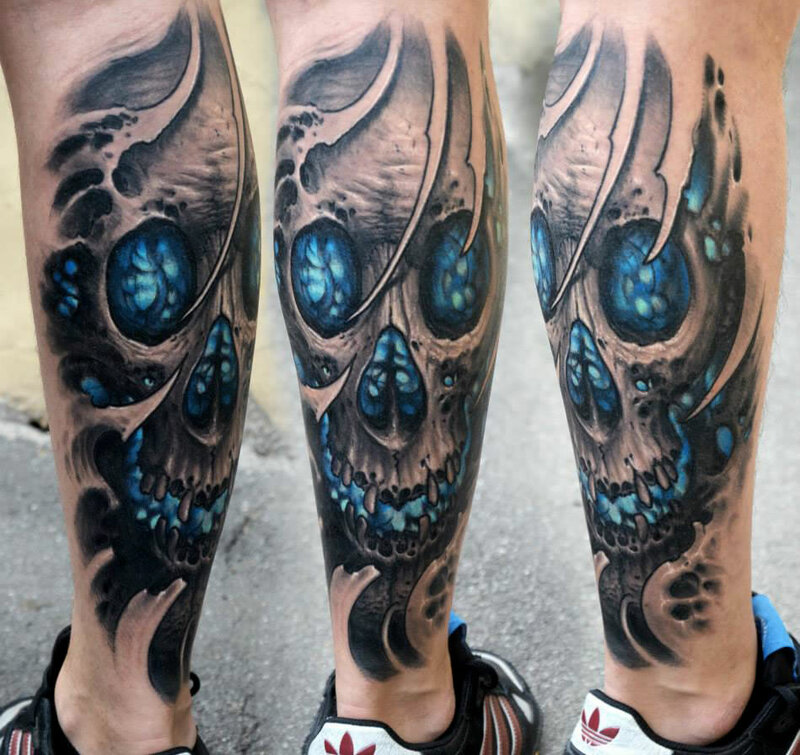 Negur’s signature style includes the use of greyscale or bluish tones for his skull designs, and then using fluorescent colors on the eyes and mouths for a glowing effect. 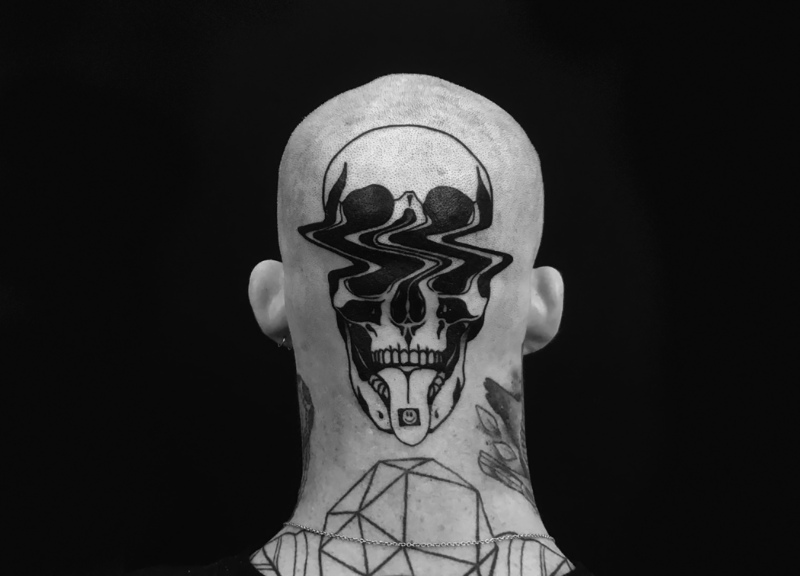 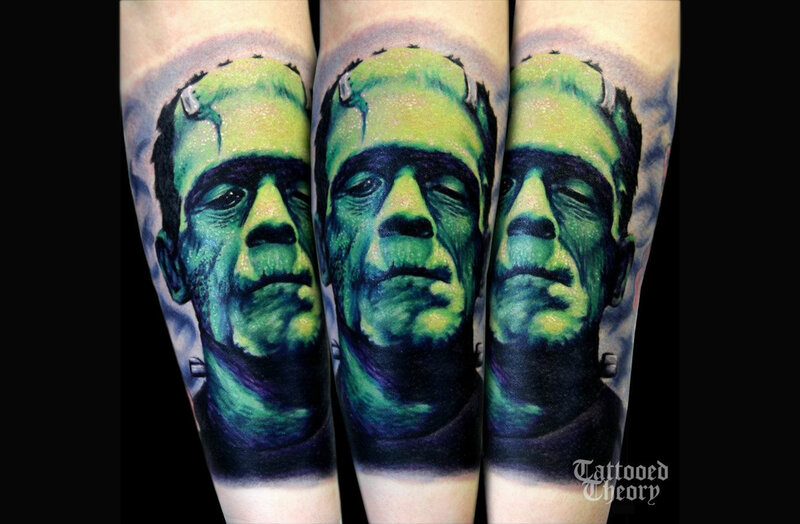 He’s also applied this luminous technique on animal tattoos, such as roaring bears and weird Sphynx cats.